In an unfortunate incident nearly 49,000 Winnie the Pooh Playsets (Made in China) were recalled by J.C Penny. The reason being unsafe levels of lead were found to be in the products, which was higher than that permitted by the environmental agency. The twenty-three piece playset includes a play pen, a doll, stroller and a swing amongst others. 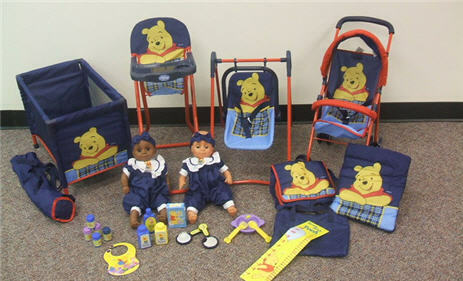 The Winnie the Pooh Playset was sold by J.C Penny through their catalog and website. J.C Penny also recalled some ornaments and art sets which were also believed to contain unsafe lead toxics.